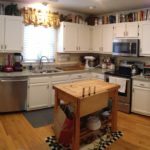 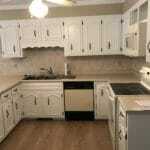 Our homeowner was in the midst of updating her 1990s kitchen to make it feel a bit more bright and airy. 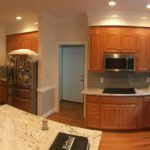 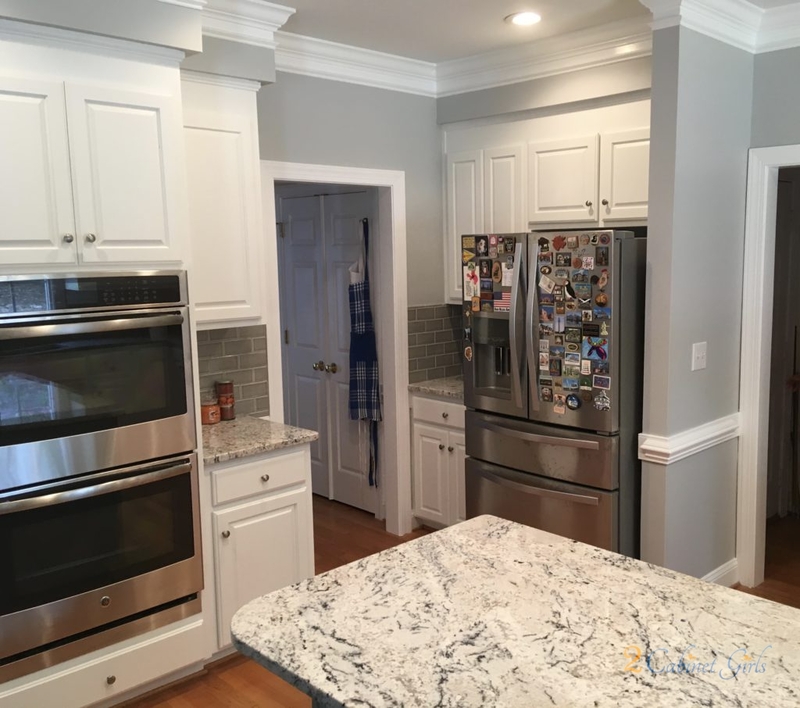 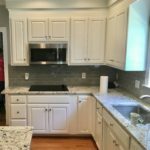 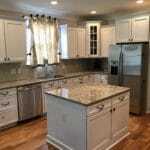 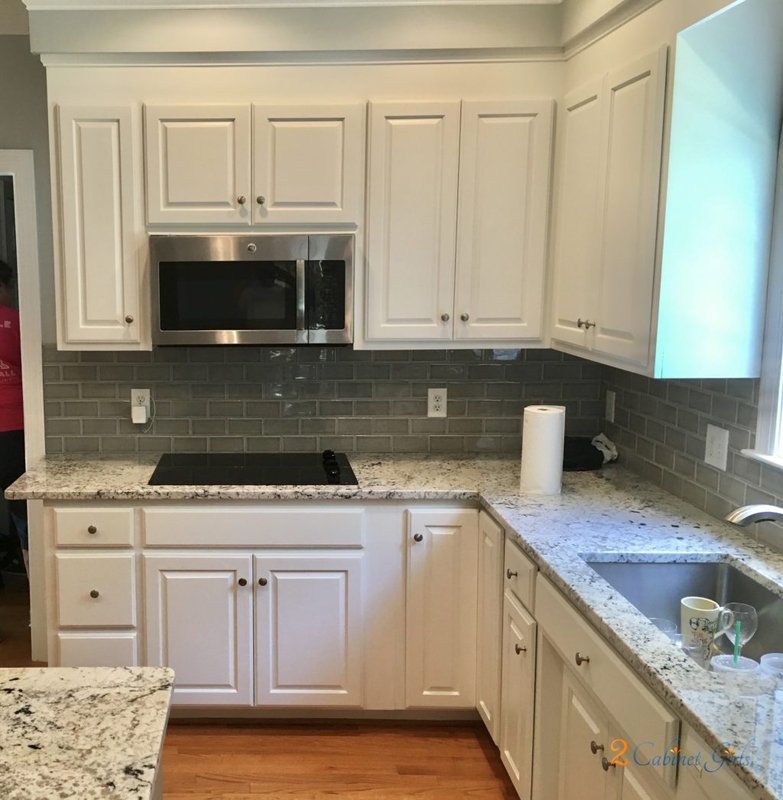 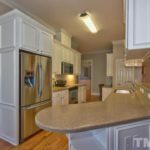 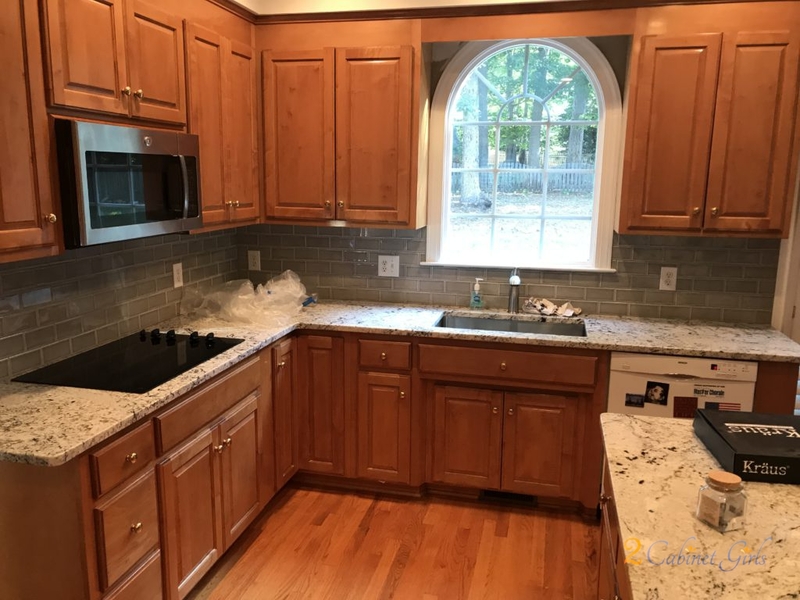 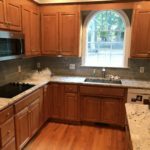 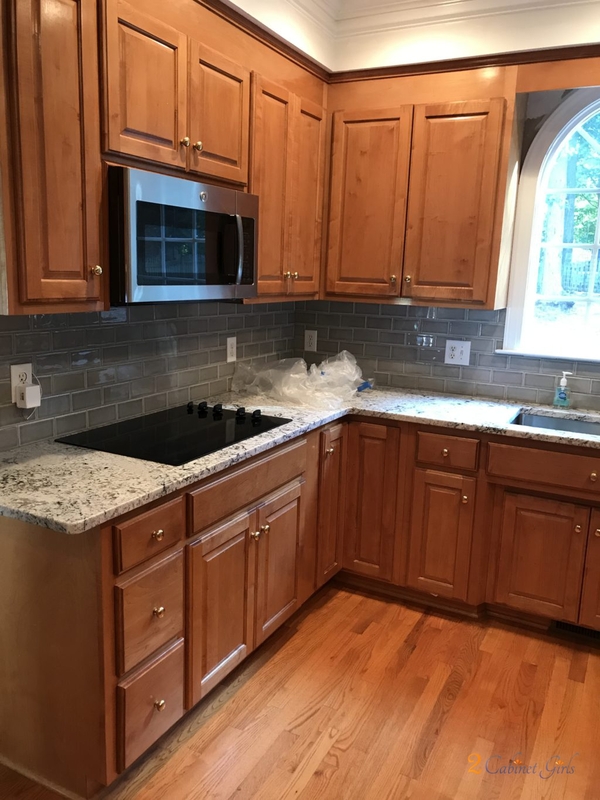 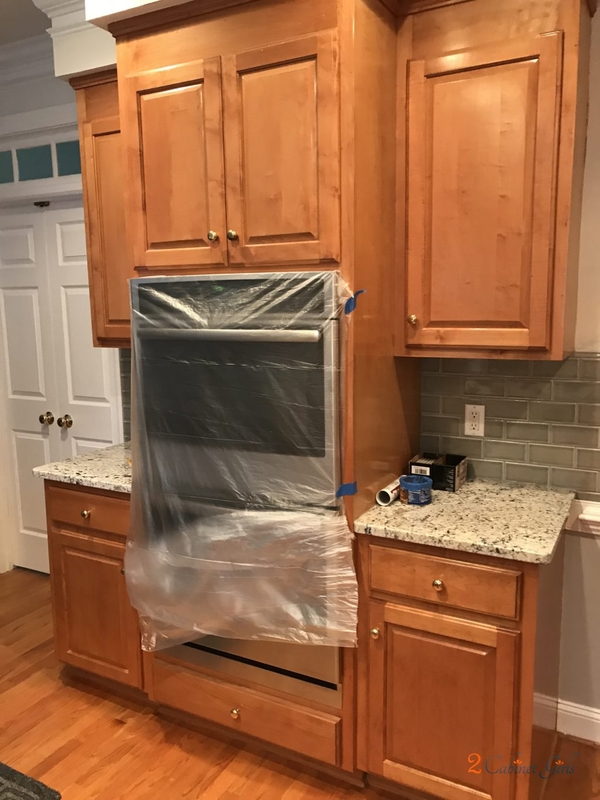 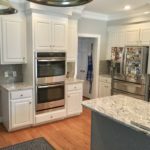 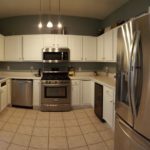 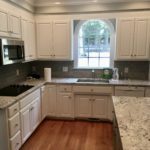 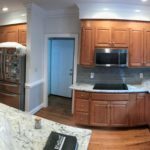 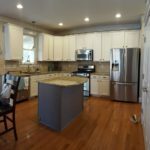 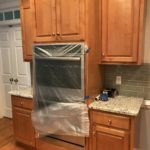 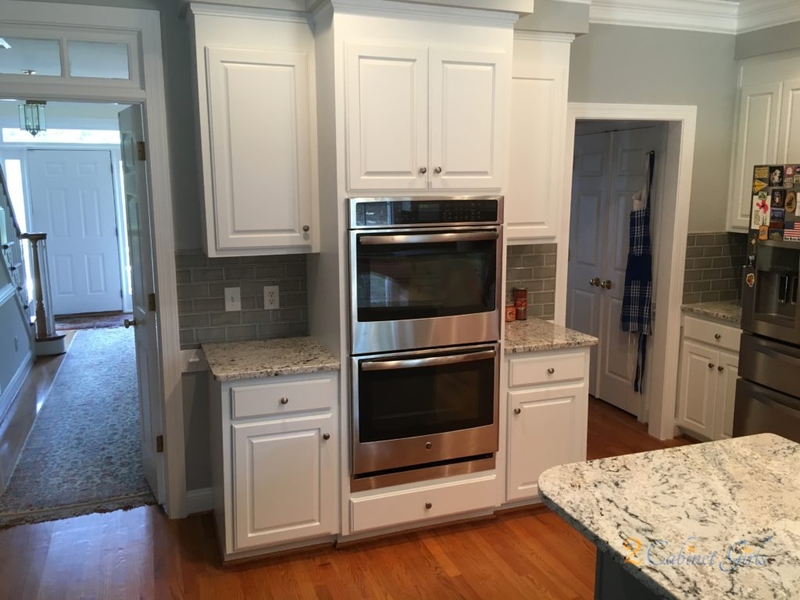 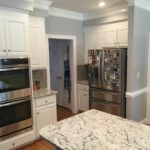 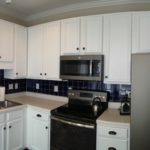 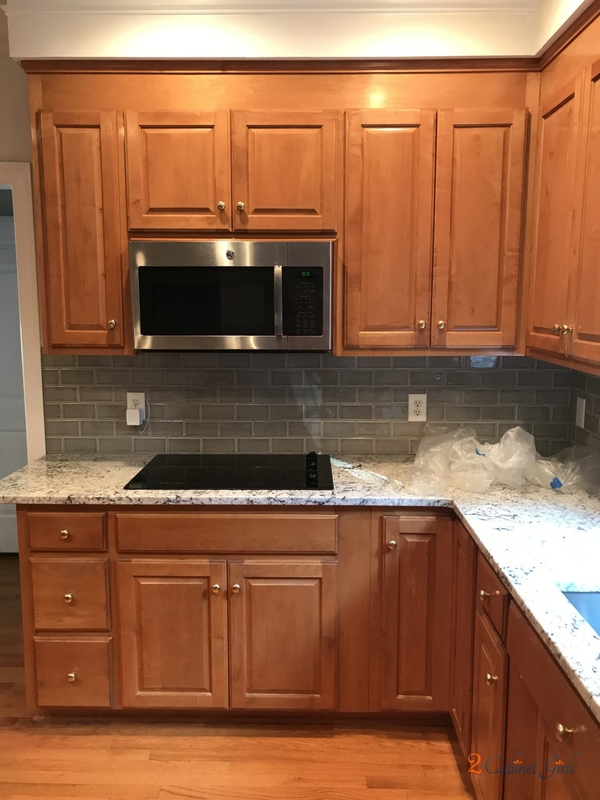 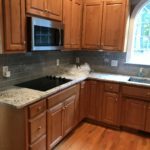 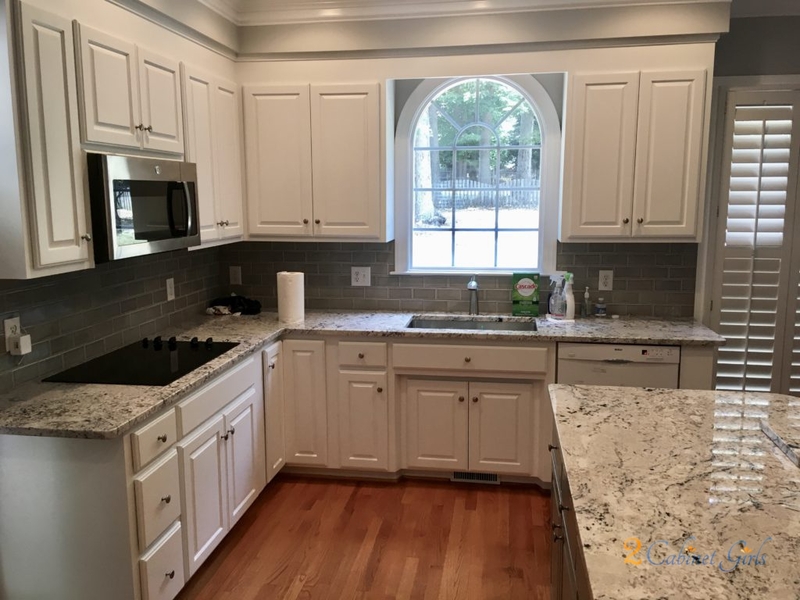 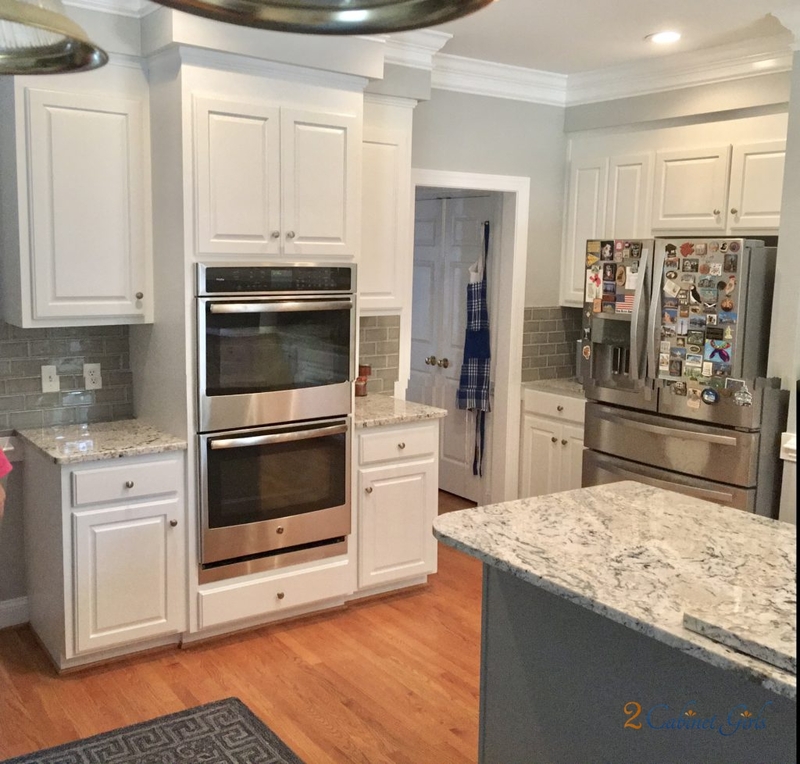 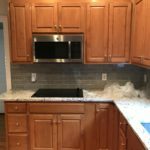 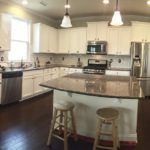 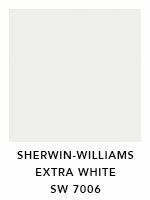 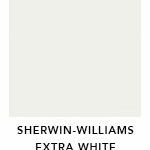 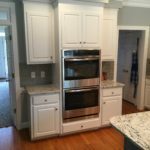 To do that we used Sherwin Williams Extra White paint color on the wall cabinets, which tied it in with the trim, and Gray Matters on the island. 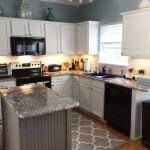 Choosing this gorgeous steely gray on the island helped blend it with the new subway tile backsplash. 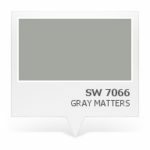 These fresh colors make it feel much more 2017!